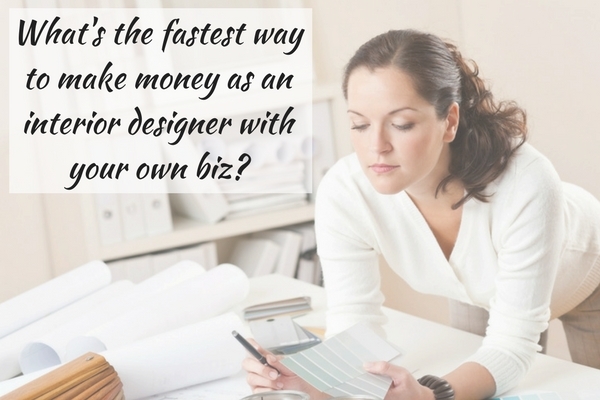 What's the FASTEST way to make money as an Interior Designer? Ever have a slow month? Ever have your full service projects get bogged down with indecision or client travel? Ever just have a dip in the local economy so that the phone is just not ringing for the big, luxurious, whole house projects that you have built your business to handle? And the one thing I found that helped me out of a tight money situation was this…..
Is this the best money to be made in the business of interior design? No. Is this great for long-term stability? Probably not. Is this EASY? Not really (but you get better with experience). However, this happens to be the fastest way to make money in interior design. Most interior designers covet the big, juicy, whole-house projects that we see splashed all over our shelter magazines and websites. I do too. That is a goal for any interior designer. These days, however, those projects seem to be fewer and fewer to come by. More people want to do the design themselves. With more options to buy products online, many homeowners only might want some advice from a designer. Many interior designers are looking to diversify their income with options like affiliate marketing, designing a product line, becoming a brand ambassador or doing sponsored content on their websites, or developing an educational product to sell. These are all great options and are worth investigating. 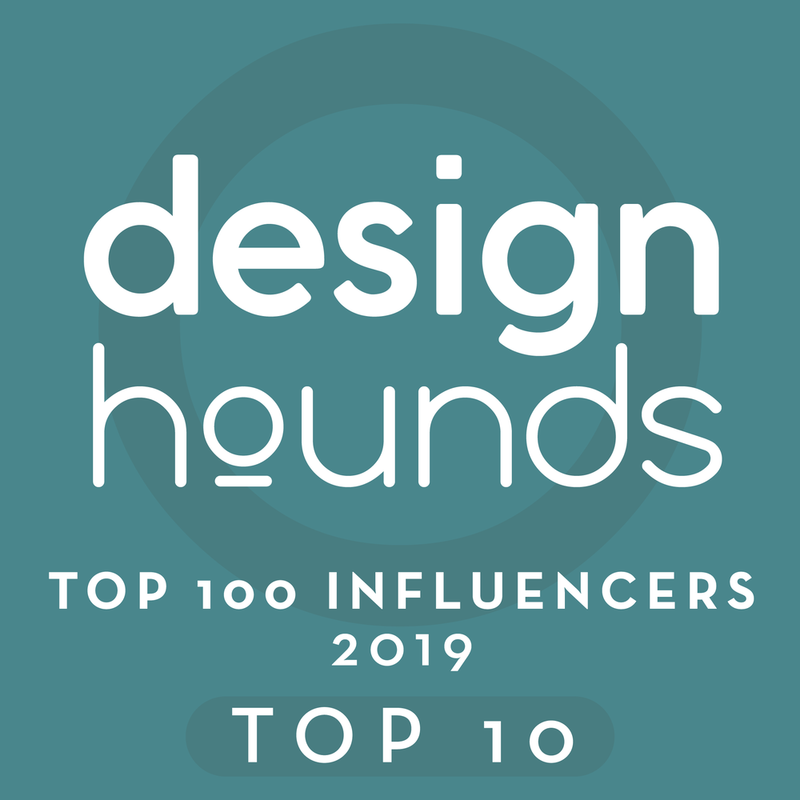 The problem with most of these is that they really require you, as a designer, to have a significant audience or following from either a blog or social media profile or prolific and published work. You gotta be “someone” in the biz in order to really have these options work for you. No furniture manufacturer is going to want a designer who has no following or who hasn’t been published, to design a furniture line for them. You can’t make affiliate dollars via your blog if you have a really small readership. You won’t get many sponsored content opportunities if you don’t have a social media following of some significance somewhere. You can’t sell an educational product from your website if hardly anyone is visiting. You have to build a career, a following, a readership, an audience...something, in order to make these options work. It’s the lowest threshold of entry into design services for an end user. It’s the most appealing and most popular for the majority of homeowners out there, therefore the easiest money for you to get. If you have a website, you can dedicate a page to this service. Describe your process, create parameters and state them, assign a price. Add a few pretty pics and maybe a pic of you, so people will see who might be coming to their door. Take that link and put it on Facebook with some inviting copywriting, a pretty pic, and a promise to solve someone’s design dilemma. Then put some money behind it. Okay, so I know I said this could be for lean times and maybe you don’t have any money. Well, I’ll bet you have $25. Targeted Facebook ads can get your “offering” seen by locals who live in your area, fast. You might have to do this repeatedly and with some strategy (there are hundreds and hundreds of tutorials out there), because you need to be seen more than once before people will actually act. Don’t ask me how to do targeted Facebook ads, I don’t do them. I’ve boosted posts before, but I, personally, haven’t done one. I did have a marketing person I worked with before develop some targeting for me on Facebook, but we really didn’t use it. I wasn’t really focused in on my goals at that time and didn’t really know who I wanted to target. However, I do think they work. I’ve talked to other individuals who have seen success with Facebook ads. And I think that is the fastest way to get the word out about this service. It's there when you need to turn it on. Let's say, you don't need this filler type of work right now. That doesn't mean you might not want to have the option six months from now, or next year. However, if you set it up now, build your offering, get the Facebook ads thing figured out, etc., then it can be sitting there ready to turn on when you need it. You can raise your price when you start getting more than you want. I've even gone so far as shut them down, by putting up a note underneath the buy button that these are currently not offered, but will resume next month, etc. I've even done sales on consultations when I needed to turn on the faucet, reduced prices for a month, etc. The nice thing is that it is there, in place, and I can manipulate these offerings as I want. I have to say, I love my one-time consultations and have worked them into my normal work week. I do both in person, with local homeowners, and via email for people located anywhere else. The possibility of booking an appointment and then doing the consultation all within a week’s time. I like walking away from that home with a check in my hand for that time spent and not having any homework or follow up tasks. I like giving that homeowner just the right amount of help they wanted and getting paid immediately for that service. I also really enjoy my quick Q&A type consultations done via email, although you do need to have some traffic to your site for these. Here are the advantages I've experienced. They can be done over the course of a few days, I can start one and then come back to it later. I get paid before they are done, so the money is in my pocket before I even open their email. I've had a total of eight (8) of these consults this month, February, so far, and we have another week left in the month. At $175 each, my rate right now, this totals $1400. Some designers think this type of work is distracting to their full service projects and to their main sources of income. Some feel it is dead-end work or work that won’t get them any real project images for their portfolios. These are valid concerns, especially for many well-established interior designers. .....then the one-time consultation just might be the service to add into your business. I have lots of tips, advice and info assembled in this downloadable pdf if you’d like to learn more about how to work these into your business model. I also have a few examples of some of the consultations I’ve done via email with homeowners from all over, linked below. And I’m proud to say, my ligit Trademark for my name for my online consultation service, Designed in a Click, has finally come through!! YAY! I'm excited to share some end result kitchen remodel pics here with you today of a local design consultation I did back last fall. This Designed in a Click consultation I did recently is one I thought you all might enjoy. Once you see the solution, it looks obvious. If you are in the thick of a remodel yourself and didn't get all the details worked out before you started, sometimes it is hard to back away and see the best solution. That's when a second pair of eyes, professional eyes if possible, might come in handy. A reader recently emailed me photos of her kitchen remodel in progress and she was stumped with what to do with the hood wall elevation. Appliances were purchased, demo had been done, they were about to meet with the cabinetmaker and didn't know how to lay out the wall where the range and hood were planned to go. I recently had a consultation, via my Designed in a Click Q & A service, about a fireplace that had an asymmetrical look. The homeowner needed to put the tv above it, but the whole wall configuration puzzled her with what to do. Here's the photo she shared. This Designed in a Click client was having trouble figuring out what to do with their fireplace. They had already done quite a bit of remodeling, taking this home from a traditional look to something more modern. The fireplace was highly visible when you walked into the home and they wanted to make a big style statement with it. What to do? I received some great before and after pics from someone I helped with my Designed in a Click service, and I'm so excited to share them with you today! Click through to see the long way this kitchen came with just a bit of professional guidance. I recently had a Designed in a Click consultation with a reader who was overcome with the beige travertine in her newly purchased house and didn’t know how to minimize its impact to get the look she loved. She was about to embark on a considerable remodel and needed some direction. I’m sharing my response to her today to help others out there who have similar problems. That beige and gray marriage thing can be tough. What will really make an impact here for her though, in my opinion, was combining it….. in a certain, particular place. How do you design a backsplash AFTER everything is done? Well, it's not that easy. I recently received a question from a reader and well, it's such a great example of how planning out all the details before you begin is important, that I wanted to share it with you today.